Unlike other normal pensions which limit you in choosing the type of investments you desire, SIPP pension gives you total control of your pension regardless of the prevailing circumstances. You can choose the type of investment with or without the help of an expert. After retirement you can then use these investments as a source of income or to purchase an annuity. An annuity entitles you to a ﬁxed annual income till death. SIPP pension was originally created and aimed at those people who are blessed ﬁnancially. But then the prices came down and now everybody can be able to afford getting one. This kind of pension is for somebody who clearly understands how to invest and all that comes with it and has done ample research. Making a wrong investment decision can be quite an expensive mistake. You have to make sure that you know how to manage your portfolio and choosing your own shares. When it comes to SIPP pension there are tax relief beneﬁts that you can enjoy. If you are a basic taxpayer you will be given a 20% tax relief on whatever pension payment you have made. The government will top up the remaining money for you. This will be automatically reﬂected in your pension plan. For example if you contribute say £8,000 the government will top up £2,000 meaning you will have £10,000 in your SIPP. This is something deﬁnitely worth going for. Higher or additional taxpayers automatically qualify for extra tax relief which is subject to limits. Therefore you will have to claim the additional tax relief via your tax returns. Once you have invested your money in a SIPP it becomes free of Capital Gains and lncome tax. As mentioned earlier ﬂexibility is one of the beneﬁcial aspects of SlPPs. They offer a wide range of investment choices from individual shares to commercial property. There is so much you can invest in with them. You can even invest in your own business by buying the business premises with a SIPP and borrowing up to half the buying price. You should seek expert advice on what type of investment to settle for. Generally the more sophisticated your SIPP is the wider the range of investments you will have and the more it will cost you to put it up and administer it. The ﬁrst step should always be choosing an administration company and a trustee. It is possible for you as the plan holder to be the trustee. 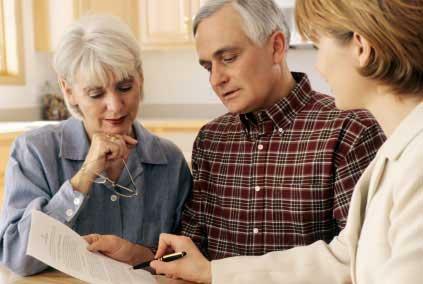 SIPP pension is generally known as the perfect and safest way of planning for your retirement after years. It offers a way of creating a retirement fund and also how to draw a reasonable amount of income from it. Having a bad acclaim does not beggarly that cannot account an auto loan. With the acceptable automobile costs companies, the situations accept acutely stricken the automobile bazaar book & accountable the automobile accommodation lenders to action variations of loans such as bad acclaim auto loans. SIPP Pension Plan gives you a great Flexibility in your investment and it gives you more other benefits like you can do other business.